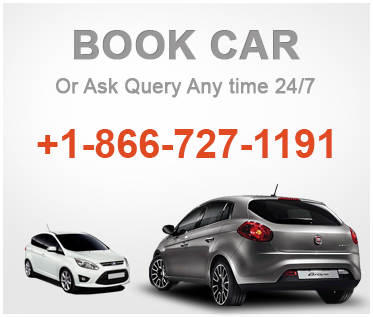 Need to ask a query on car hire we are listening 24/7! Being one of the most trusted car rental brokers in Argentina, we offer a reliable service at very economical rates. We compare the biggest car rental companies such as Alamo, Europcar, Sixt and Localiza and bring the best options for you. With just 3 simple steps, you can book a rental car that suits your choice and pocket. Firstly, fill the required information in booking engine on the top, shortlist the most suitable car and finally pay a small amount to reserve your selected car. Renting a car in Argentina is the most preferred option for tourists who want to discover this fascinating country thoroughly. It gives you the freedom to make trips to different cities and explore most of the attractions according to your own travel schedule. Furthermore, it eliminates your dependence on stuffy bus rides and expensive cab rides. A car rental in Argentina is all you need to start an amazing road trip. At Argentina Cars Rental, we offer deals at the most competitive prices online. Every deal shown on our website includes several additional benefits such as unlimited miles, 3rd party insurance, theft and damage waiver and local taxes. Our pricing is completely transparent and there are no surprise charges. You will pay only what you see on our website. Our fleet of rental cars includes different segments which will allow you to choose the model that best suits your needs and budget. Vehicles in our fleet include small, mid-size, big SUVs and luxury vehicles. Most of the vehicles are brand new and all are fuel efficient. Whether you are traveling with your family/friends for a leisure holiday or your are alone on a business trip, we have a rental car for you. Do not hesitate to contact us about your specific needs; tell us what you are looking for for your next car hire in Argentina. We have a dedicated booking support team which is available 24x7 to help you in finding the best deal. You can also reach us by phone, email or through live chat. To get the best out of your tour, get yourself a rental car in Argentina. Huge selection of cars, locations, agencies. Keep your car on the right side of the road and overtake from the left side. Always keep your seat belts fastened while driving to ensure your safety and prevent penalty. Drink and drive is strictly prohibited with permissible blood-alcohol level limit being 0.05% mg/ml. It is mandatory to use low lights 24 hours a day on main roads and highways. You can make or take calls from your mobile phone only with a hands-free system. Select car according to passengers and luggage. Go for long-term rental to get cheaper rates. Check car for any body damages upon pick-up. Ensure there's plenty of fuel before driving off. Check for your belongings when returning car. The gorgeous scenic wonderland of Argentina explored! The service was really quick." "This was the second time I booked with them. Efficient is the word." "Quoted wrong pick-up date earlier...But these guys did amendment in no time for free. kudos!!!" "Great service! Even called up for feedback later on to enquire about the experience."